Back with a quick reminder that the House Mouse and Friends Monday Challenge is at the mid-way point. the very talented BETH is hosting this challenge. You still have another week, until Saturday, April 25th at midnight to join in the fun with an entry. 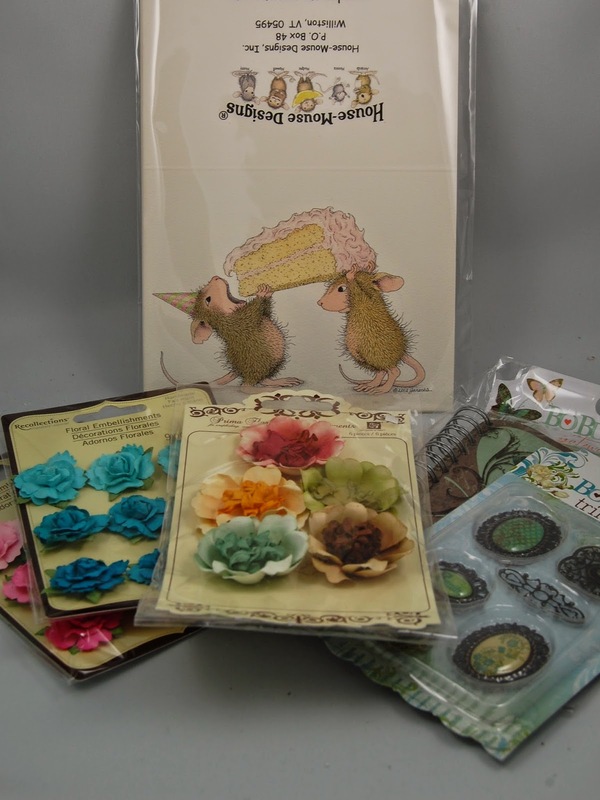 House Mouse and Friends Monday Challenge and check them out. Then join the fun for your chance to win a great prize. Remember, you must use a House Mouse Design image on your entry. wow Sue this is very beautiful great card. A fabulous card Sue, super colouring of the adorable image and I just love your design and gorgeous colour. Your die-cuts of grass, leaves, flowers and butterflies are stunning!! So far we haven't had a very wet April. I love this image Sue...I think that I NEED it...lol!!! Beautifully created dear teamie!! I'm doing quick comments today while the Grandson sleeps...lol!!! Hope that your day is going well!! This image is just too cute! I love your pretty card! Great job! This is a fabulous card! I love the colors and the sweet image. A fabulous card Sue, such a fun image and your floral border is both perfect and beautiful. Oh how cute those little house mouse stamps are. Your card is darling. The die cut as accent is perfect. Great job Sue. Beautiful card, Sue! Love what you've done with the die cuts.